According to a recent report by the National Highway Traffic Safety Administration, 818 bicyclists were killed in auto-bike crashes in 2015. This was the highest level of deaths to cyclists since 1995. Many drivers do not give bicycle riders the space that they deserve and do not understand how to interact safely with bike riders who share the streets. 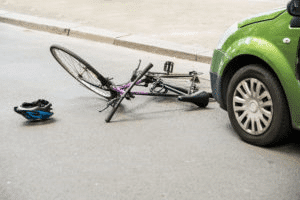 At Simmons and Fletcher, P.C., our bicycle accident attorneys understand that when a bicycle accident occurs, it can cause serious harm to the rider of the bike since he has limited or no protection from the impact of the vehicle. If you or a loved one has been involved in a bicycle accident, Simmons and Fletcher, P.C. is here to help. Our experienced bicycle accident lawyers represent clients who suffered injuries as a result of bicycle accidents. We also represent family members of victims killed in bike crashes. Since the 1970’s our firm has been in business helping bike accident victims and others get the compensation they deserve under Texas law. Contact us today to learn more about how we can help you. The driver of a vehicle making an unsafe left turn or right turn. The driver of a vehicle texting, talking on his cell phone, or otherwise failing to pay attention to the bicycle rider. The driver of a vehicle failing to give adequate space to cyclists riding in the bike lane. The driver of a vehicle opening a door into the path of the bicycle rider. Operating a vehicle under the influence of alcohol or drugs. These are just a few examples of some of the most common causes of bicycle accidents in Houston. Vacate the lane in which they are located where possible while passing a vulnerable road user. Yield the right-of-way to a vulnerable road user who is approaching from the opposite direction when turning the vehicle left or right. Turning across a vulnerable road user’s path after overtaking a vulnerable road user traveling in the same direction. Using the car to cause intimidation or harassment to a vulnerable road user or in a manner that threatens a user. Throwing things at vulnerable road users from the vehicle. 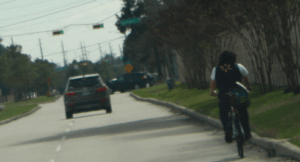 If you have been a victim of a driver who violated one of these ordinances such as the Houston Vulnerable Road User Ordinance, Simmons and Fletcher, P.C. can help to prove responsibility and impose legal liability on the driver. 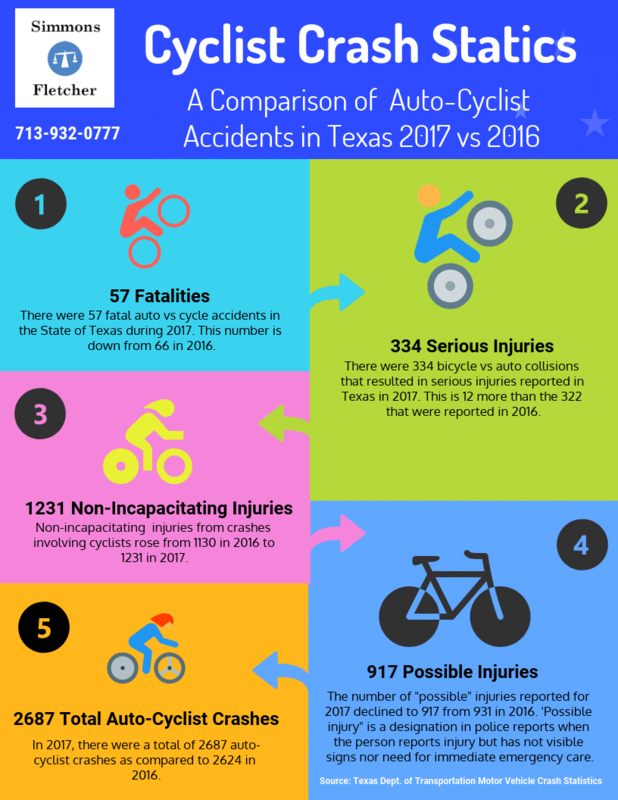 Auto-Cyclist accidents are all too common in Texas. Below is an infographic showing the magnitude of the problem. It is very important to have a strong advocate on your side when you are up against insurance companies who have lawyers and adjusters on staff to try to minimize your case. At Simmons and Fletcher, P.C.,we know how to fight for your rights after a bike accident and will work with you to help put your life back together after a tragic accident occurs. Contact us today to schedule a free consultation with one of our bicycle accident attorneys to learn more. The consultation is free and we charge no fees unless we win your case. 1-800-298-0111.